A teaser trailer has been released for the live-action film adaptation of Robico’s Tonari no Kaibutsu-kun (My Little Monster) manga. 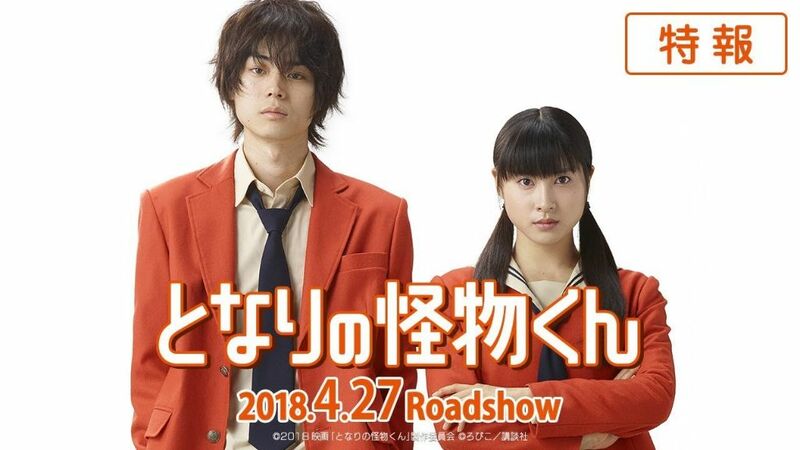 Tsuchiya Tao will play Mizutani Shizuku, an overachieving high school student with reputation for being cold, while Suda Masaki will play Yoshida Haru, a brilliant but troubled high school student whose behavior can be unpredictable and disruptive. The two embark on a whirlwind courtship after a chance occurance throws them together. The film will be released on April 27, 2018. Additional cast for the film are was also announced.